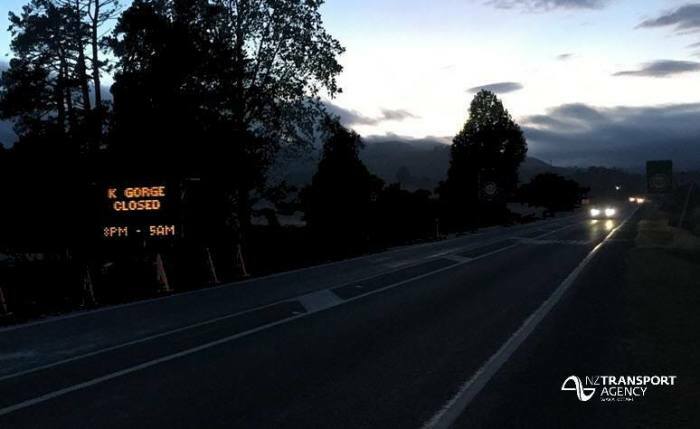 The NZ Transport Agency advises motorists there will be a full closure between Waitawheta Road (Waikino) and Seddon Street (Waikino) on Monday and Tuesday evening between 8pm and 5am. The detours will be clearly signposted and will be via Waitawheta Road and Old Tauranga Road, for both north and southbound motorists. This work is a continuation of the asphalt resurfacing that occurred last week and is weather dependent. The NZ Transport Agency would like to thank motorists for their patience during this time.